Small patch for DLC potions and other potions that were missed by XxAwesome_PotionsxX. While I am only making references in the code for the game to grab items from his work (nothing is packaged in here), I do have permission from Lucifonxx to upload this. A big thank you as always to Bethesda for inventing TES, and thank you to Lucifonxx for the Awesome Potions... and the XxAwesome_PotionsxX mod. Enhanced version of potions of well-being is now available under optional files! View the Readme for full details! I love Awesome Potions, and after using it, vanilla potions just seem... Lacking. 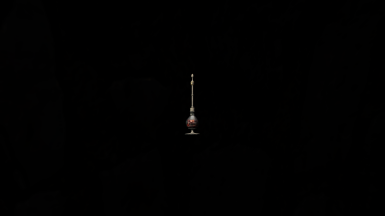 Unfortunately, not all potions are covered in this re-texture.... I'm aiming to fix that. PLEASE NOTE: This is simply a side project I am working on as I find potions that were not touched in XxAwesome_PotionsxX by Lucifonxx (yes, I have his permission). I am not adding new bottles, new textures, or anything fancy, I am only referencing his work and modifying some values in SSEEdit to make unique combinations. This patch was made ENTIRELY by hand, and in SSEEdit, using the merged patch function. Below are the required files. Also note: This project is *FAR* from complete. I am currently only adding missing potions as I see them, so I can have equal time play, equal time futzing with SSEE. If you see a potion that is missing please leave a comment! I will attempt to honor them in a timely fashion (usually by next update), but know that updates will be paced (so I don't update 1 potion one day, publish, find 2 more the next hour after fixing the first, publish...) Expect weekly installments until I and my users (hopefully you readers) don't find any more missing potions. Potions of Well-being - I always thought these potions would be at conflict with themselves. Three healing properties distilled into one potion, each trying to overpower the other, but bound in a way that they work together, hence why an ultimate potion only heals 100 of each attribute, not 9999. I've tried to replicate this in the potion, and note, magicka has the upper hand (visual only, potion values remain untouched)! Potions of Blood - Don't ask. It's actually one of the nicer-looking potions, and I'll wait for Lucifonxx to make the official patch instead of this quick-fix. 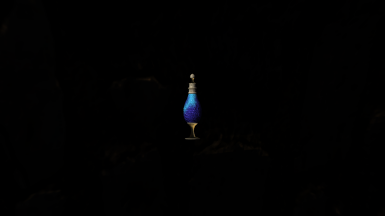 The White Phial - There is already a great-looking replacer here. I would not be able to do it justice with the meshes/textures available. Potion of Waterwalking - Powerful alteration magic in a convenient bottle-shape. Very much like it's cousin, the potion of water-breathing, only this one allows you to stay on top, not underneath. Soul Husk Extract - Now looks like something from a darker dimension. Will still somehow save your soul and resist magic! Redwater Skooma - The vampiric byproduct from the redwater spring... reborn. Now the absolute best-looking skooma on the market! 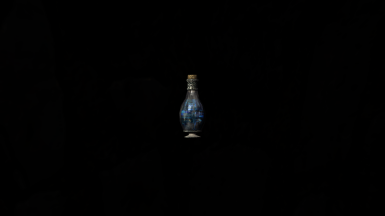 Empty Skooma Bottle - Updated to match the other skoomas. Due to limitations of the mesh, it still has 'liquid' in it. 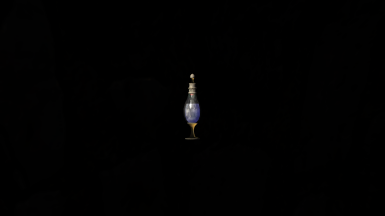 Optional file to recolor regular skooma purple, leaving the less-visible white liquid for the 'empty' bottle. Final note on my mod: If you use Wrybash, the .esp will be merged into the bashed patch! All the awesomeness, less .esps! Craftable and Upgradeable Potions of Well-being by Yours Truly -- now you can craft them yourself to see! Immersive Potions by Nastakanoth -- I know this is a Skyrim file. I checked it over in SSEE, and it only edits vanilla records, nothing fancy, and I found it to be stable. If you install and use his mod, pay attention to compatibility! I mod all of my mods in SSEE to work well together, on top of Wrybash. As with all mods like this: I strive to maintain vanilla values so that the larger audience can comfortably use the mod. If this mod is loaded after a mod that makes well-being potions heal 9999, the healing will be over-written to vanilla values. If loaded after this mod, it is likely the textures from this mod will be lost. I highly recommend LOOT to sort the load order, SSEEdit to poke around the files and find conflicts, and Wrybash to hulk-smash the poor .esp's into submitting to you, Molag-style. In short - learn to mod if you mod. Cry, because vanilla potions are eye-sores. Uninstalling should be safe--all this file does is say: Hey bro. See that ugly potion over there? Yeah, let's play dress-up. It even preserves your potion's modesty after uninstalling!